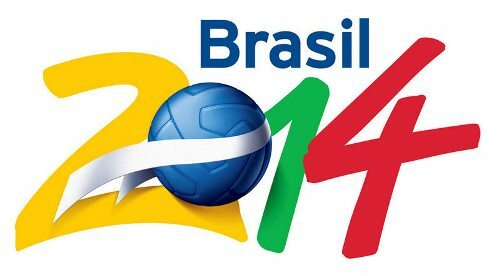 The first round of group matches for the 2014 World Cup have been completed and in Group A, Brazil are sitting top of the group. There is still plenty to play for, with two more rounds to go. Read on for my preview of the second round of Group A matches. Mexico too their first match with a 1-0 win over Cameroon. While it may have been low scoring, Mexico looked bright and quick and should have two more goals, which were chalked off due to incorrect offside calls. Brazil ended up with a rather comfortable 3-1 win to start the tournament, but it was a match that really only changed when they were given a very dubious penalty. Not only did the penalty goal force Croatia to stretch themselves and push for a goal, but it gave Brazil a bit more confidence. Brazil will need to be wary of Mexico’s quick forwards, both of which work well with one another. Their movement and ability to pull defenders can really cause some problems. On Brazil’s side, they have a very strong attack led by Neymar, but accompanied by Oscar and Fred. It is looking likely that Hulk will miss out on this second match and will be replaced by Bernard on the wing. A win for Mexico in this match would be a massive shock and amazing result for El Tri. Still, it is quite possible. Brazil’s defense has weak links that can be exploited. They played a much higher line against Croatia than was expected and this is a point of weakness that could be better exploited by the quick Mexican team. My prediction is a Brazil win, but feel that Mexico could certainly earn a draw. A win for them is a bit of a stretch. Brazil is the home team and will certainly get the benefit of refereeing decisions and they have a much stronger attack than Mexico. Brazil v Mexico takes place Tuesday, June 17 with kickoff at 3:00 pm and airing live on ESPN and Univision. Both Cameroon and Croatia come into their second match on the back of first round losses. A win will be critical for survival and, knowing the result of Brazil v Mexico, could go a long way towards deciding who finishes second in the group. A draw will, most likely, not benefit either team. Cameroon struggled through most of their match against Mexico. While the score-line ended 1-0 to Mexico, it should have been much more. To make things even worse for them, they will be without their captain, and leading scorer, Samuel Eto’o. Croatia looked good against Brazil and really went for it. In the end, they were mostly undone by a terrible penalty call that forced them to change their game plan. In this second match, Croatia will have Mario Mandzukic back from suspension and he could be the difference maker this time in leading the line. This is a match being played in hot and humid Manaus which could have an effect on both teams. It remains to be seen if this will result in an open, high scoring match, or a slow and sluggish affair. My prediction is a Croatia win. They have the better attacking options and do have a rather solid back line, despite the first round 3-1 loss. Cameroon could come away with points in this one, but I feel that will have more to do with the weather than anything else. Cameroon v Croatia will be Wednesday, June 18 with kickoff at 6:00 pm on ESPN and Univision.